Hot on the heels of Ableton’s release of Live 9, Apple has released the newest version of its popular audio manipulation and production software Logic Pro, this version being the 10th and so dubbed “X”. The update brings a lot of new gadgets and workflow additions that Apple promises will revolutionize productivity and guarantee uninterrupted production of the next killer track. 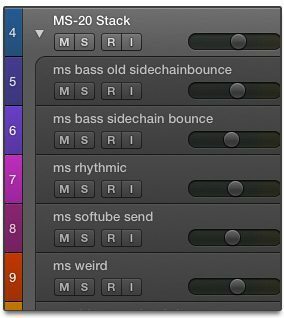 Logic seems to be heavily eyeing the intuitive nature of Ableton with a lot of their updates, the most notable being “Track Stacks,” a feature that allows the collapsing of multiple tracks into a singular stack that can be routed to a bus or auxiliary source. Sound familiar? The feature seems very similar to Ableton’s grouping feature, which allows for the collapsing of tracks into a single group track that can then have audio effects placed over all tracks at once. 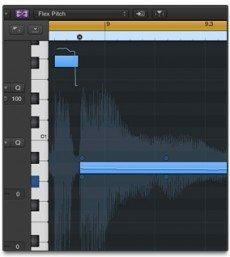 The main feature difference with Logic is there does seem to be some sort of auto-grouping feature – Apple gives the example of all drums being auto-routed through to a single “stack.” No word, however, on whether this is truly automatic functionality or whether it simply analyzes the track instruments to give a name to the stack. The other cosmetic change involves a change to the mixer layout of Logic, with gain reduction now visible in the basic mixer window, potentially saving huge amounts of time during mixdown. This, along with basic visual EQs in the mixdown, elevate the mixer window to a pretty functional counterpart to Pro Tools’ much touted mixdown window. Finally, Apple has added the ability to use “Smart Controls,” which function much in the same as macros in Live, which can control multiple effects by routing them to an individual knob. The interface for this, however, looks pretty spectacular, and seems to add functionality beyond knob-encoders to device on switches and faders. Mac integration is here in full force, and in our opinion, is really where the software shines: while the ability to export straight to Soundcloud is a fun feature for those looking to upload some works in progress for critique, it’s not ultimately that helpful for releases that might require mastering or mixdown adjustments by other people. However, the ability to transfer data between Logic X and other Mac apps like Final Cut Pro seems like it could provide really easy workarounds for those looking to quickly put promo videos or music cues together. Did we mention there’s also an iPad app that controls the mixer remotely? 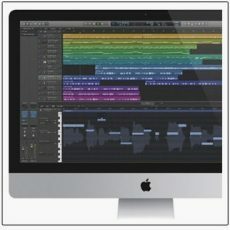 Beyond cosmetic upgrades, Logic seems to mostly add functionality that removes a lot of the need for external plug-ins. It’s now got an AutoTune/Melodyne equivalent aptly dubbed “Flex Pitch,” a whole host of new sampled material including some very warm sounding acoustic drum and vintage key samples, and some guitar rig emulators like a Bass Amp sculptor and Stompbox simulations. Apple hasn’t provided an audio examples of the latter, so little information is out there about how quality the emulation is, but based on even the built-in emulations in Garageband and previous iterations of Logic, we can expect good things. Lastly, Logic now includes a host of MIDI effects, like arpeggiators and scale/velocity auto-adjustments, and now has a MIDI feature set that seems about on par with Ableton Live 9’s. Ultimately, the updates are interesting considering Logic’s place in the world of music (specifically dance music) production. Apple added plenty of new functionality that aids in general production, but hasn’t seemed to make anything that caters specifically to the “EDM” market (not that it’s necessarily a bad thing!). We’ll be interested to see if dance music producers who typically work in Logic will take advantage of the possibilities of the additions of live instrumentation plug-ins like “Drummer,” or whether people will continue to rely largely on VSTs in making . The real selling point of Logic Pro X, beyond a lot of the upgrades, is its price point: 200$ for software that now rivals all of the functionality of Live, (or at least Live 8) is a number that’s hard to argue. We’ll be grabbing a copy of this software and doing a more in-depth review, so stay tuned! Learn more about Logic Pro X on Apple’s official site.